P.P.S. Look, you can hit the back button right now and never see for yourself the huge amount of money you are literally abandoning on the table. For less than $50, you can get your chance to make it to the top of this industry. Dont be the last person caught without a chair when the music stops. 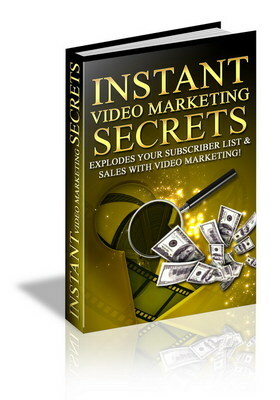 Claim your copy of Instant Video Marketing Secrets now before its pulled out of the market.